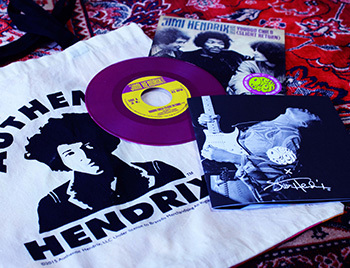 To celebrate the launch of our Pretty Green X Jimi Hendrix collaboration we've had some tote bags, lookbooks and a limited edition, numbered “Voodoo Child” 7" record pressed on purple vinyl. These have been made especially for Pretty Green and are not available to purchase anywhere. This is a unique opportunity to get a very limited product and is available free with all orders over £50 from the Hendrix range for a limited time or whilst stocks last. The collaboration is available in limited quantities at the following Pretty Green stores: Carnaby Street, Sheffield, Buchanan, Leeds, Manchester, Birmingham and Liverpool. 1. 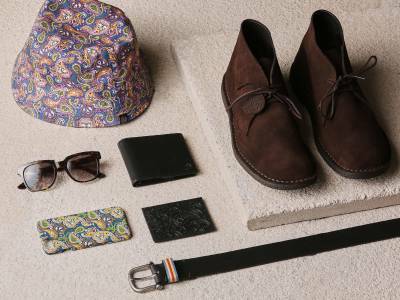 The tote bag, lookbook and limited edition vinyl record are available only to people that have spent £50 or over on Pretty Green x Jimi Hendrix collaboration products. 2. This does not include records, DVDs or CDs. 3. 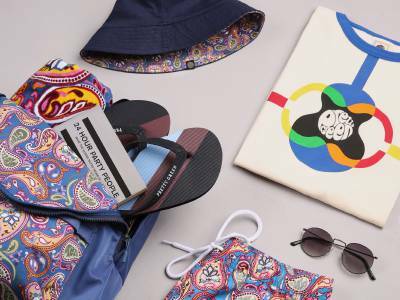 If returning any products from your order where a tote bag, vinyl and lookbook were given, these must be returned if the value of Pretty Green x Jimi Hendrix collaboration products is now under £50, otherwise we cannot guarantee a full refund. 4. Any returned lookbooks or vinyls must be in brand new, unopened condition. 5. Don't forget - you'll need a 45 rpm adapter as these 7" records have the bigger holes.